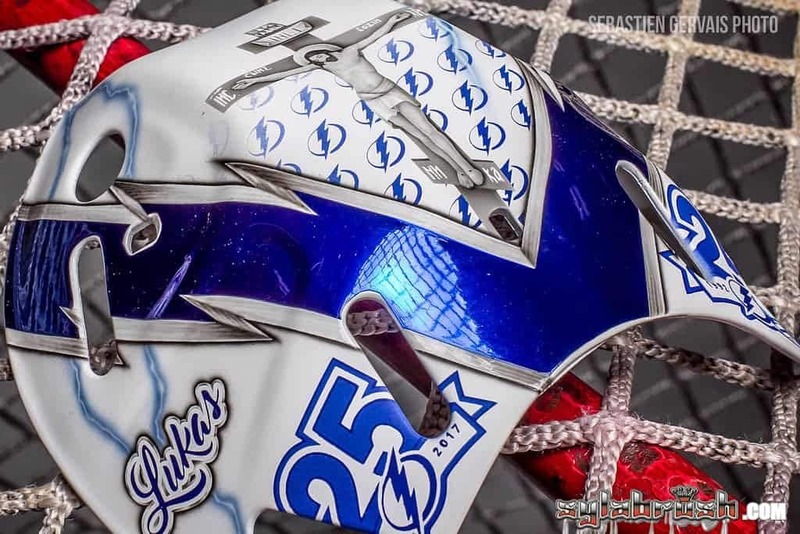 Andrei Vasilevskiy will have a new color-change mask in time for his first NHL All-Star Game, but you’ll have to look closely to find the differences, inside and out, from his old one. 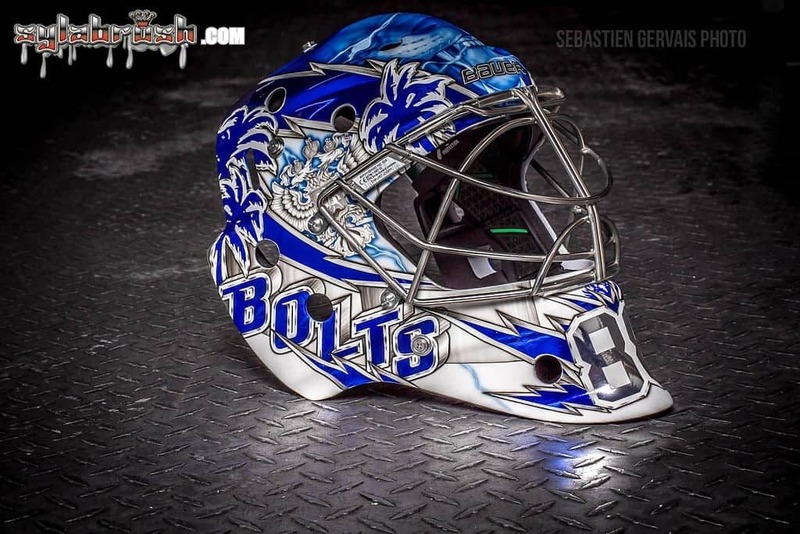 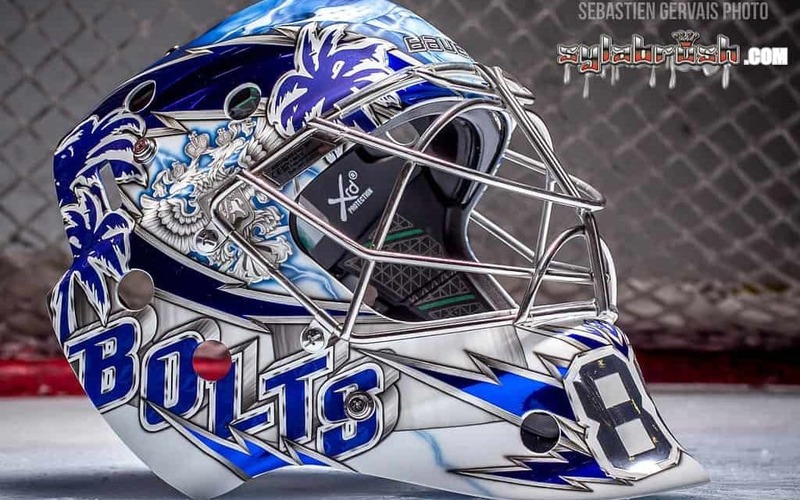 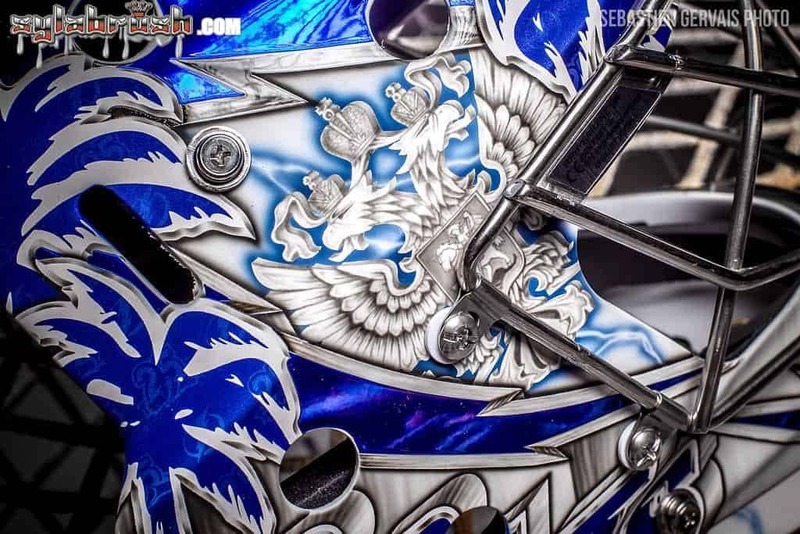 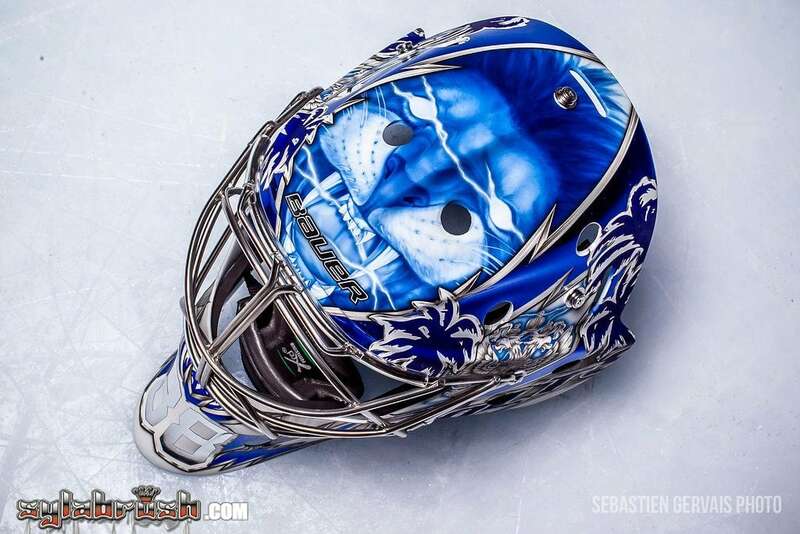 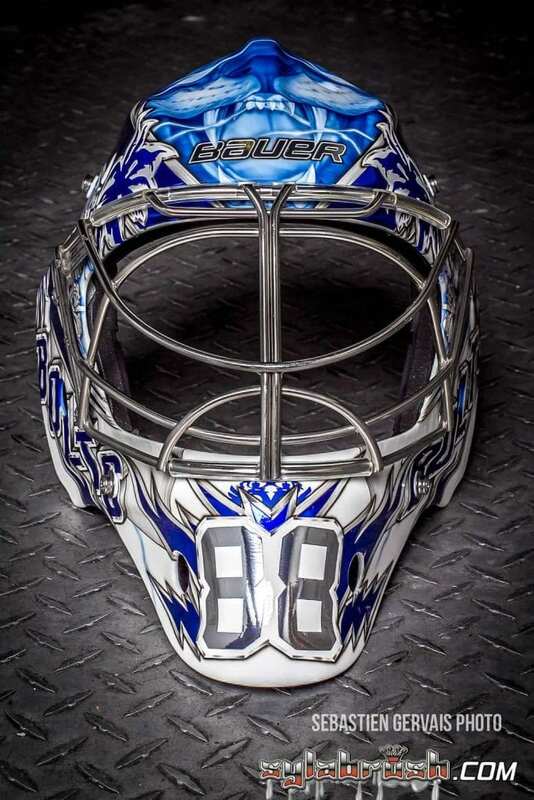 Vasilevskiy asked his painter, Sylvie Marsolais of Sylabrush, to continue the themes of his masks from past seasons, featuring a mixture of palm trees and lightning bolts, an electrically charged lion as the primary image on the forehead and top, and a mixture of symbols from his native Russia. 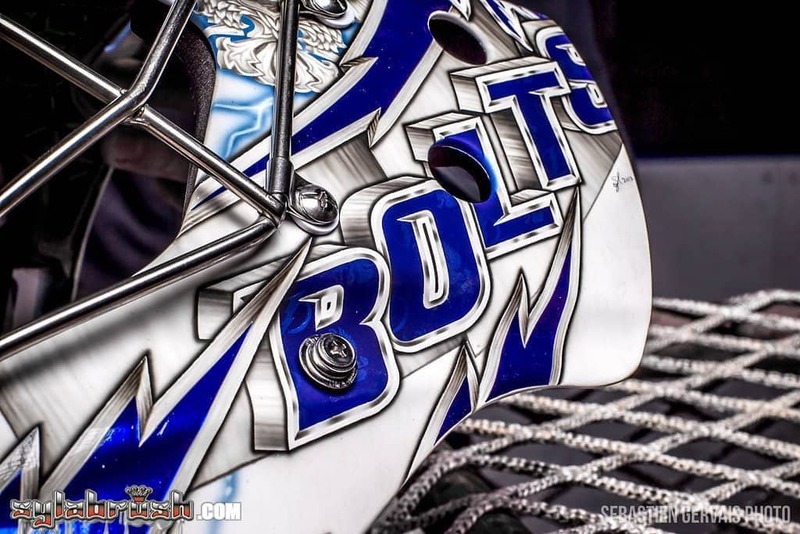 They did tinker a little with some of finer details, including the SubZero color changes that only appear in the cold, a cool feature when your job involves skating out of a warm locker room onto a cold ice rink. 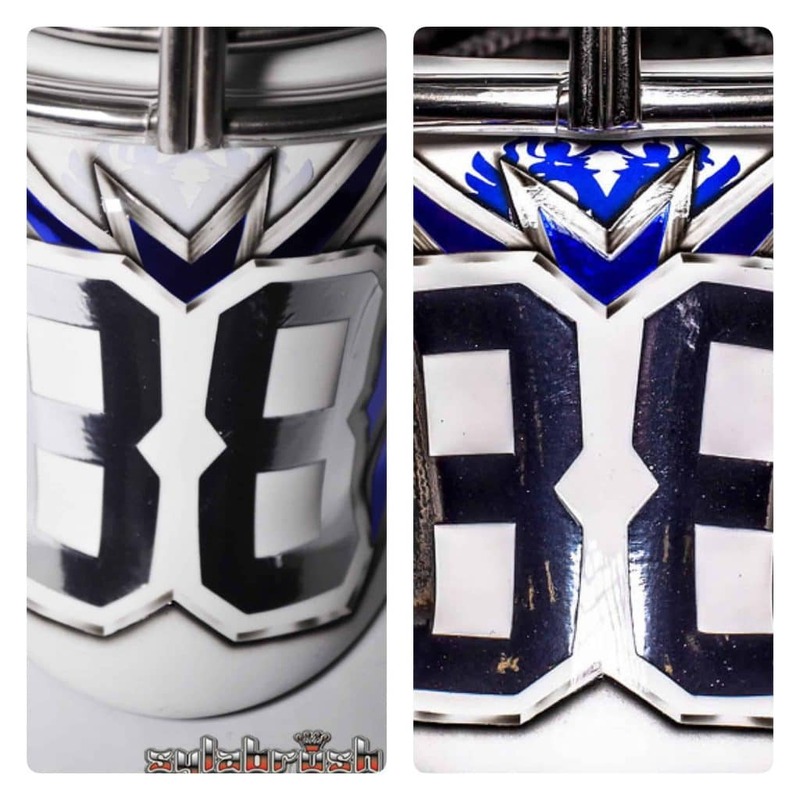 Perhaps the biggest change, however, can be seen on the inside of the mask in the main image and again below. 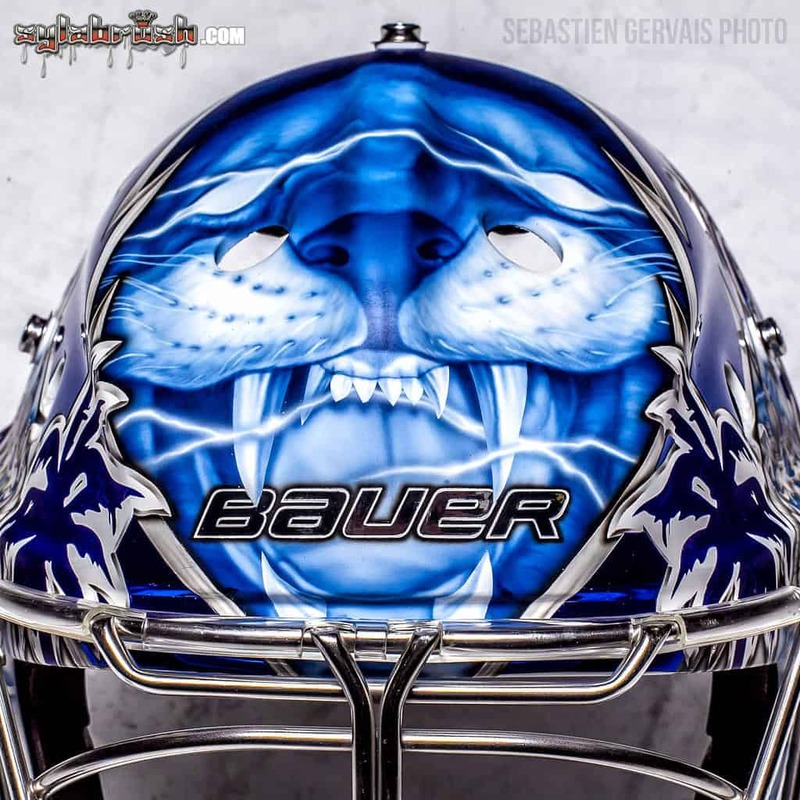 It’s the “Xrd protection” logo and green-highlights on what is a stock liner for Bauer’s new NME VTX mask. 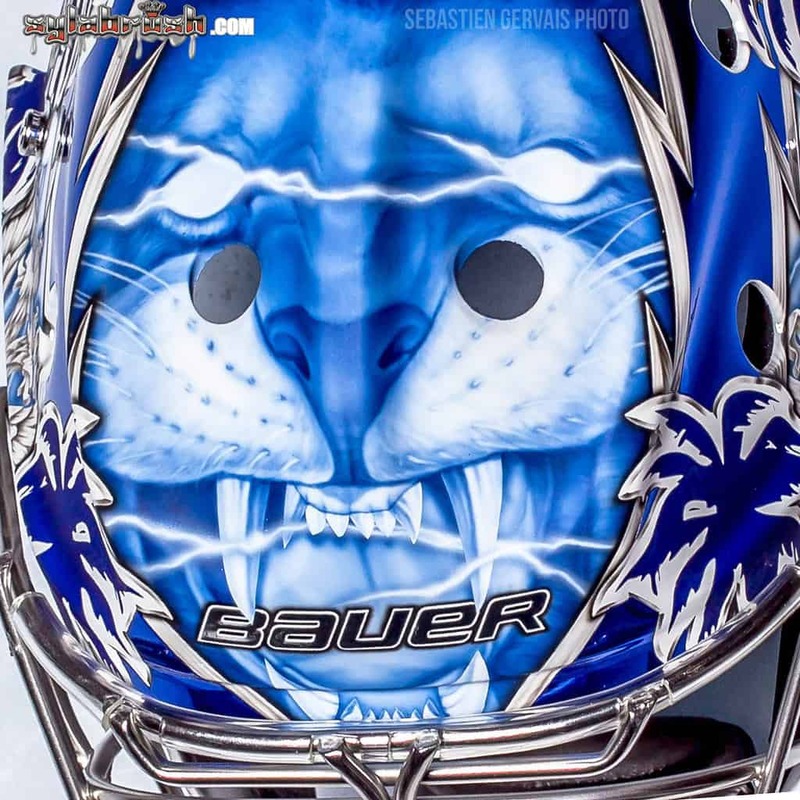 Vasilevskiy switched into the Bauer NME VTX shell from a Pro’s Choice mask to start this season, but wasn’t wearing the stock liner. 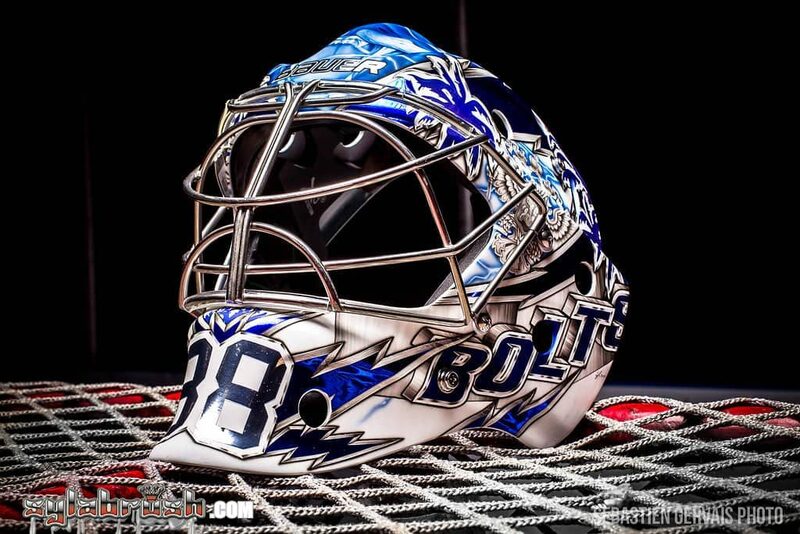 With this new mask, the Lightning star is switching into what is a stock retail mask (look for a complete InGoal review of our NME VTX in the near future).